You’re behind the times if you haven’t heard about the health benefits of turmeric. As ginger’s lesser known relative, turmeric is a bright orange spice well-loved for the kick it adds to curry and other traditional Indian and Southeast Asian dishes. Sometimes though, you might want to branch out from curry. If you’re struggling to find ways to put this bright yellow powder to use, learning how to make turmeric paste is a stellar solution. Turmeric has earned a reputation as a superfood in recent years, and for a good reason. This pungent flavor agent is filled with antioxidants and anti-inflammatory compounds, the most notable of which is curcumin. Making up about 3 percent of turmeric by weight, curcumin is a potent compound for fighting cancer and other health conditions. 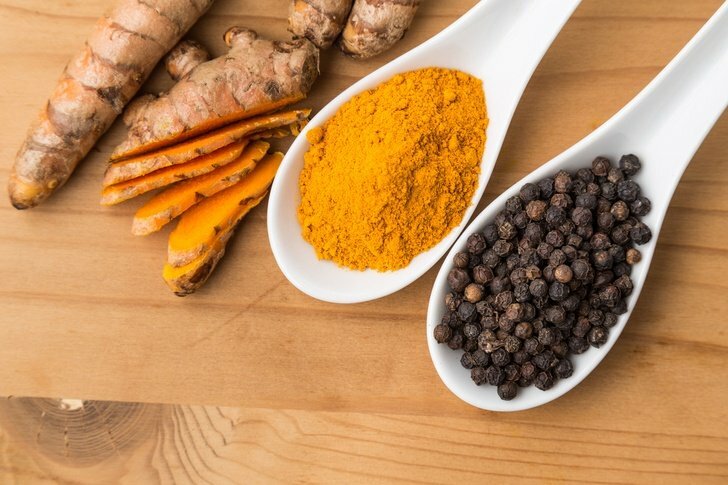 Curcumin is renowned for preventing toxins from turning into carcinogens, and it also helps your body digest fats and sugars without triggering inflammation. Over 10,000 peer-reviewed studies have investigated the benefits of turmeric, and their findings are far from disappointing. If you want to incorporate this flavorful root into your life, it’s important to understand how to make and use turmeric paste. Turmeric paste is an ancient strategy for simplifying the process of incorporating turmeric into soups, drinks, face creams and other wellness products. You can make your own in only a matter of minutes, and the paste is simple to keep on hand for when you want it. 1/3 cup cold-pressed oil like virgin coconut oil, olive oil, or linseed oil. Black pepper and turmeric are a proven combination for your health because the pepper slows down your absorption of curcumin so that you don’t expel too much in urine. However, some people struggle with the flavors together and prefer not to include it. That’s perfectly fine, but it’s important to be aware that it will affect the overall effectiveness of your paste. To make your paste, combine the turmeric and water and bring them to a boil before lowering the heat and simmering the pot until it produces a thick paste (about 10 minutes). You can add more water as necessary to keep the consistency paste-like. Once the mixture has cooled down, stir in the ground pepper, oil, cinnamon, and ginger. Store the paste in the refrigerator for a maximum of two weeks or freeze it immediately to keep it fresh for a year. Not interested in making your own turmeric paste? You can buy premade turmeric paste to make the process simpler. Once your paste is fully prepared, you’re ready to put it to use in a variety of ways. There are plenty of ways to put homemade turmeric paste to use, including the following. Golden milk is a favorite Asian health tonic fills you with healthy fats and calcium, as well as the potent anti-inflammatory benefits present in the turmeric. You can brew your own by blending any form of milk (fat-soluble nut milks like almond or pecan work exceptionally well) with a teaspoon or more of turmeric paste. Boost the health benefits even further by adding a pinch of black pepper to enhance your curcumin absorption rate. Looking for a shortcut? Make golden milk instantly with a powdered mix from Gaia Herbals. For those favoring a more savory brew from their turmeric, you can’t go wrong with a homemade turmeric broth. Take two cups of pre-made broth of any variety and dissolve in one or two teaspoons of turmeric paste. You can drink it just like that, or you can make a homemade egg drop soup by cracking four raw eggs into the boiling broth and whisking rapidly until everything gets cooked. It turns out turmeric past can be equally beneficial for your skin as it is for your digestive system. Studies show that turmeric acts as a powerful antibiotic, making it useful for clearing up skin conditions like acne and eczema. It’s best to use turmeric paste as a spot treatment by dabbing some onto the affected area and letting it set for 30 minutes before rinsing it off. You can also add half a teaspoon of your paste to your favorite face mask recipe for an antioxidant-rich pick me up. To make your own, mix two tablespoons of unsweetened yogurt with a teaspoon of honey and half a teaspoon of turmeric paste. Let the blend set on your face (avoiding immediate eye area) for at least five minutes before washing it off, taking care to use an old towel so that staining isn’t a concern. Despite the bright orange hue, turmeric paste is an effective teeth whitening treatment. All you need to do is mix two tablespoons of turmeric paste with a tablespoon each of baking soda and coconut oil. Mix everything together, use it to brush your teeth like normal. Spit and rinse after five minutes of brushing and repeat daily for the best results. Simple is often best when it comes to natural remedies. In this instance, it’s hard to argue against the benefits of ingesting turmeric paste fresh after you make it. It’s best to start slow to let your stomach adjust to the substance, so try taking a ¼ teaspoon a few times a day before raising your level to a full teaspoon daily. Salads are a smart part of a healthy diet, and adding turmeric paste as a dressing only improves the benefits. For those that find the taste of turmeric too overpowering on its own, this is an easy way to diffuse its flavor. Turmeric has been a foundational ingredient within Indian food for thousands of years, and having turmeric paste on hand makes it easy to whip up a homemade batch of curry. You can mix in your favorite spices like cinnamon and cumin to give your curry as unique flavor profile, or follow time-tested recipes like these instead. Take your morning smoothie to the next level nutritionally by incorporating turmeric paste into the mix. By putting half a teaspoon in adds a hint of pungent spice to your drink without overpowering the rest of the flavors. For an easy recipe, blend 1 cup of nut milk with ½ cup frozen pineapple or mango, the juice from one orange, your turmeric paste, and a pinch of black pepper. Refreshing and renewing all at once! Turmeric can soothe skin and reduce inflammation, and it can also work to ease the pain of sprains and even broken bones. You can make a healing poultice by blending equal parts castor oil and turmeric paste, and pack it close to the inflamed area by wrapping it with a waterproof bandage. Take care though, as the mixture can stain if left in place for several hours at a time. Dried fruit is a healthy snack all on its own, but you can boost its benefits even further with a little turmeric paste. This recipe reveals how to make a turmeric-infused trail mix with your favorite dried fruits and nuts. While the recipe calls for powdered turmeric, you can easily use a paste if you slightly warm it up before using it. Is a bad sunburn or poison ivy outbreak leaving you with skin you can’t stop scratching? Find relief by making a salve with turmeric paste and aloe vera gel. Mix equal parts together and dab it where you need to ease the itching for fast-acting benefits for your skin. Why mess with what works? Turmeric is tasty when incorporated into a variety of recipes, so consider using it as a cooking spice to flavor your favorite dishes. You can dab some turmeric to eggs, roasted vegetables, and meats to infuse them with extra flavor and nutrition. Why not try these easy two-ingredient turmeric bombs. Turmeric’s gorgeous orange hue makes it an ideal ingredient for adding to homemade soap recipes. Just take your favorite soap recipe and incorporate some turmeric paste into it to make it even more useful for soothing your skin. For those who struggle to swallow turmeric paste on its own, a smart solution is to sweeten it with a serving of honey. You can add four tablespoons of turmeric paste to a 14-ounce jar of honey for a convenient sore throat treatment to combat a coming cold. Because honey is shelf stable, you can make this treatment well in advance and use it when needed. In the case of turmeric, it’s all too possible to take too much of a good thing. Taking too much at one time can trigger digestive problems like gas, bloating, and even trigger kidney stones. The University of Maryland recommends taking up to three grams of turmeric per day (1 ½ teaspoons) to stay within safe levels, though other research shows that it’s possible to take up to 8,000 mg without adverse side effects, usually for cancer treatment. If you’re ready to embrace the benefits of turmeric in your life in pre-measured portions, you can’t go wrong with creating your own versatile turmeric paste. In no time at all, you’ll find a wide variety of ways to put it to use.